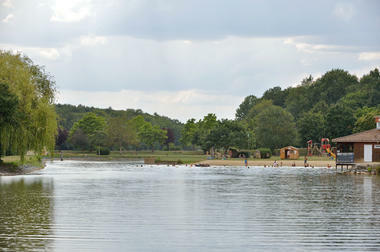 Come and relax by this refreshing lake. Put your feet in the sand or in the water: it's paradise! Everything is inviting: the water is very clean and there is a shady green area where small children will be protected from the sun. 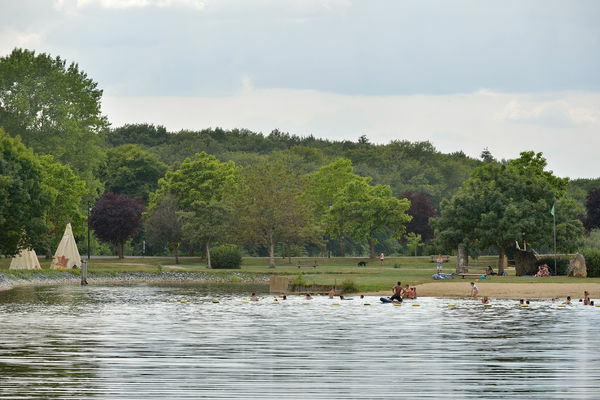 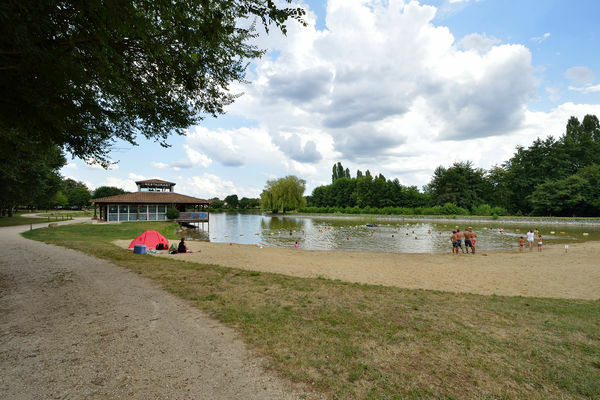 This lake, right in the town centre, has the charm of a village in the middle of a hilly and wooded Poitou landscape — perfect for relaxing in the summer sunshine. 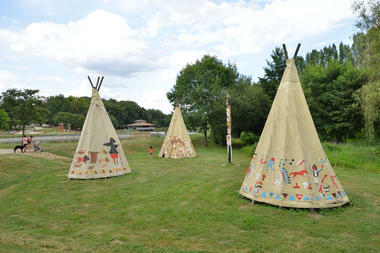 Several teepees introduce an unusual element into the scene, providing fun for both young and old. A few picnic tables are available for hungry teatimes. 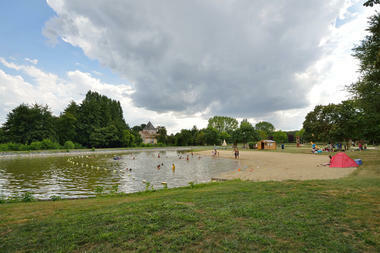 As for activities, there is plenty to keep everyone amused and occupied. 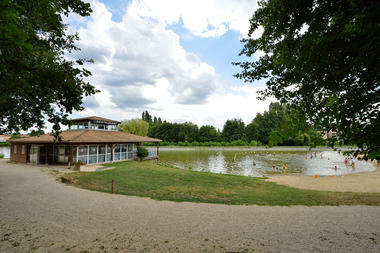 You can also visit the restaurant, "Le Martin Pêcheur", which offers home-cooked meals made from fresh produce. Swimming is supervised every afternoon in July and August, Tuesday to Friday from 2pm to 7.30 pm, and Saturday and Sunday from 1.30 pm to 8pm.